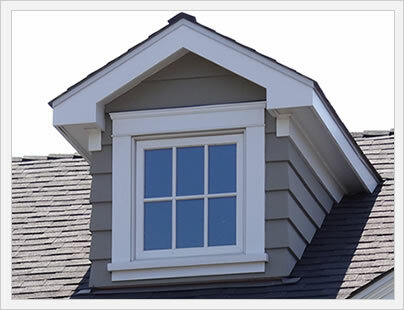 Renewal By Andersen windows are a franchised brand owned by Andersen windows. This confuses a lot of consumers and with good reason. As a franchise of Andersen, each Renewal location is individually owned and operated, but the windows themselves are made by Andersen under the Renewal label. Renewal By Andersen windows use a composite frame, made from Fibrex, which is a mix of vinyl and wood (sawdust) that is combined or bonded together to create a strong and durable frame. All of the installation is handled by the individual franchise, either through an owner installer or via a trained team(s) of installers. Consumers don't always have great things to say about the Renewal By Andersen sales approach. Some complain that they use an aggressive selling style that starts off with a very high per window price that can be reduced 20% to 25% if the customer signs the purchase order that day. Often, even with the 25% that day deal, the windows can be $1000 to $1200 fully installed, taxes etc. This is quite a hefty price tag for most homeowners. I'd actually recommend that consumers get a bid from Renewal (assuming that the company has a franchise that services your area). I think it's a great way to compare and contrast the frame material, aesthetics, options, pricing, and contract terms. At the end of the day, the more bids and information you have, the more informed decision you're apt to make. My two cents. Renewal By Andersen prices are at the high end of the composite window price range. Consumers can expect RBA pricing to run $80 to $90 per square foot for the window itself. Comparable windows include Okna Starmark windows and the Great Lakes Ecosmart window. RBA windows are made from a combination of wood and vinyl that is very similar to Andersen's Fibrex material. The windows are quite good looking and completely customizable and comes standard with a fusion welded frame. There are a host of features, hardware and upgrade options that are available and will of course add to the bottom line. For instance, the SmartSun glass upgrade adds to the bottom line but will drop the U-factor from .30 to .24 and the SHGC from .34 to .28. Renewal By Andersen offers a fully transferable warranty that covers the insulating glass unit, sash, and any door panels for a period of 20 years from the original date of purchase. There is a 10 year provision on all components and materials made of the fibrex material. All non glass and no fibrex materials are also warranted for a period of 10 years from the original date of purchase. The company warranty includes a 2 year provision on installation, which is actually a great feature to have. 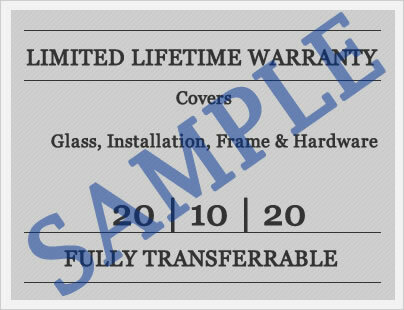 There are limitations and exclusions that apply to this warranty so make sure to get a copy of the warranty and read the document in its entirety prior to your purchase. Have Renewal By Andersen reviews to share with other homeowners and consumers? If so, we'd like to hear from you. Your reviews can help others make better and informed decisions for their next window replacement project. Do you have a question about Renewal By Andersen windows? We can help you answer any questions you might have on bids, prices, upgrades, options, etc. Okna seems to be the better window at a reasonable price. They also install windows with their own (W2)employees rather than subcontractors which I think is good. I am looking for trouble free windows that hopefully will last 20+ years and am willing to pay more to achieve that. Not sure if any of these would accomplish that. Your thoughts would be appreciated. Scott, this is a no brainer -- the Renewal! No, I'm totally kidding. $20K for 14 windows, that is a whole boat load of cash. Honestly, the Okna 600 is the clear winner; the 600 series is a way better window than the Simonton 6500 and the Reliabilt 3500, and probably just as well made as the Renewal. You should probably get a quote from the Okna dealer on their 500 or 800 series, both of which are slightly better windows -- certainly this is true of the 800 series. The 600 series is still a good vinyl window that should absolutely last 20 years with good installation. I got a Renewal replacement quote on 21 Windows - $28,0000. Then I got a Wincore replacement window quote - $9,000. Am I missing something? Mark, you aren't missing anything. Renewal By Andersen prices are often the most expensive quotes out there, by a lot. I know friends who have them and they love their windows, but honestly I don't think they are worth the cost. Personally, I think Wincore makes a good vinyl window, although I would go with the upgraded 7700 series over the Wincore 5400 series myself. I feel like there is quite a bit of value in this product. Of course, I would hope that you like the look and feel of the Wincore window. Installation (or I should say proper and thorough installation) makes a big difference, so as long as you feel comfortable with the quality of the install from the company offering the Wincore, I would do the Wincore 7700 series and save yourself a whole boatload of money over the RBA.